If you have been looking for insulation for your home, you have probably come across the term “R-value.” Here is some helpful information that may help you make sense out of R-values. R-value is the measurement of how resistant a material is to heat transfer. Before 1945, this same measurement was indicated by the U-factor of a product. The lower the U-factor, the better the material was at resisting heat transfer. This was confusing since most people generally associate high numbers with being better. So R-value was born by inverting the U-factor so that a higher value is better. What Kind of Heat-Flow Mechanisms Does R-Value Measure? Although some people suggest that R-value only measures the conductive heat flow of a material, it measures radiation and convection heat flow as well. The testing used to determine the R-value of a material is called AST C518, which is short for the Standard Test Method for Steady-State Thermal Transmission Properties by Means of the Heat Flow Meter Apparatus. Since R-value measures all three types of heat flow, it is an effective way to determine the insulation properties of materials. 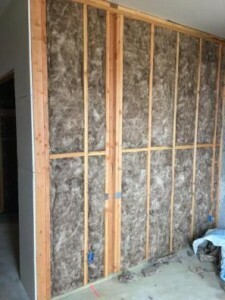 When it is time to pick insulation for your home, there are a few things that you need to consider. The first is where you live. If you live in an area with a cold climate, then you will want insulation with a higher R-value. Next, consider how your home was built. Is your home a multi-level or single-level structure? Do you have cathedral ceilings? These factors and others play a role in determining the type of insulation that you need for your home. Additionally, consider how you cool and heat your home. Whether you use a heat pump, furnace or central air conditioner, it makes a difference in the type of insulation that you should purchase. Paying attention to the R-value of insulation is important because proper insulation can save you nearly 30 percent on your annual cooling costs. In some cases, insulation is also eligible for a federal tax credit. Since each insulation has a different R-value, it’s important to research which ones work best for where you need it. For more information on R-Values or for a free quote on insulation, contact USI online to find a branch near you. USI believes that excellence in every step of the process and ensures timely completion and quality of service, time after time. ← What Are Some Myths About Insulation?